William Theodore Walton, III (Bill) was born on November 5th, 1952, in San Diego, California. He was introduced to the game of basketball while in the fourth grade at Blessed Sacrament Elementary School by coach Frank "Rocky" Graciano. Walton then attended Helix High School, where the basketball coach was Gordon Nash. At Helix, his team won the California Interscholastic Federation High School title two years in a row, while winning their final 49 consecutive games. While at Helix, Walton became the first and only high school player to ever make the USA Senior Men’s National Basketball Team and play in the World Championship and/or Olympics. Walton is the first of only two male California high school basketball student-athletes to be enshrined in the National High School Hall of Fame. Nearly 45 years after graduating from Helix in 1970, Walton still holds the national all the time high school record for FG % at 79%. He is also still the #3 all time rebounder nationally in the history of high school basketball. 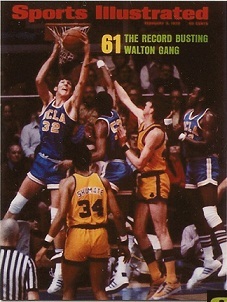 Walton enrolled at UCLA in 1970. He played center for John Wooden's Varsity team for three seasons (1972-1974), after an undefeated year with the freshman team in 1971. He was a member of two undefeated NCAA championship teams compiling an NCAA record 88 consecutive game winning streak. 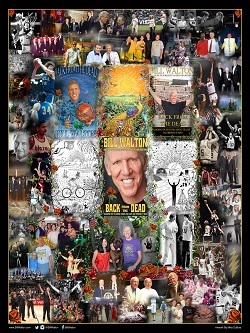 Bill Walton is a three-time recipient of the NCAA Player of the Year Award, 1972, '73 and '74. Walton is a 3 time All-America College Player and winner of the Sullivan Award for the United States Best Amateur Athlete of 1973. He was named to the Pacific 8 All-Conference first team 3 times and was Pac-8 Conference Player of the Year for three consecutive years. At UCLA Walton was a scholar-athlete who also earned Academic All-America honors three years in a row. He graduated with honors with a B.A. in history. Walton also attended Stanford University Graduate School of Law in the early 1980's. Walton's professional career began when he was the number one over all pick in the 1974 NBA Draft by the Portland Trailblazers. He was a member of their championship team in 1977. Nine years later he earned another championship title, this time with the Boston Celtics in 1986. He played with the Trailblazers 1974-1979, the San Diego Clippers 1979-1984, the relocated Los Angeles Clippers in 1985, and The Boston Celtics 1985-1988. 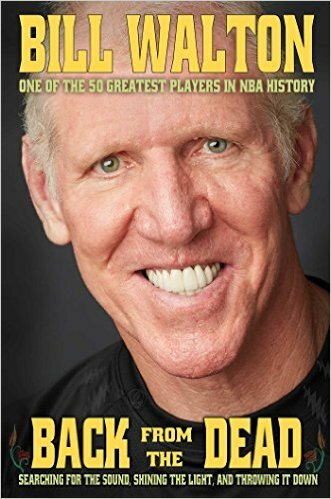 Bill Walton was the NBA's Most Valuable Player, 1978; all-NBA First Team, 1978; NBA All-Star Team, 1977 and 1978; NBA Playoff's MVP, 1977; all-NBA second team, 1977; winner of the NBA Sixth Man Award, 1986. Walton is one of only four players in the history of basketball to have won multiple NCAA and multiple NBA Championships. Walton is also the second of only five players in the history of the NBA to lead the league in both blocked shots and rebounding in the same season. He remains active in basketball through clinics, camps, coaching, and television commentary. He started his broadcasting career in 1990 as an analyst for the then Prime Ticket Network. Walton worked for CBS Sports in the early 90's during the NCAA Final Four and then for NBC for many years, including work on the 1996 Atlanta and 2000 Sydney Summer Olympic Games. Over the last 21 years he has worked for ABC, ESPN, NBC, CBS, Fox, MSNBC, Turner Sports, KCAL, NESN, and the NBA. Walton is also involved in numerous internet ventures providing content and business acumen. Walton received the 1991 NBPA's Oscar Robertson Leadership Award. In 2002, he received the NBA Retired Player's Association Humanitarian Award. In 1992, 1993, 1995,1996, 1998, 1999 and 2000, the Southern California Sports Broadcasters Association honored Walton with the Best Television Analyst/Commentator award. In 2002, he was hired as the lead analyst for ESPN/ABC's coverage of the NBA. He is also a regular contributor toESPN.com, NBA.com, ESPN The Magazine, and ESPN Radio. During the 2002 NBA Playoffs, Walton exhilarated in the Love It Live Tour of America - a 30 game, 30 day extravaganza - covering over 40,000 miles. This life-changing experience was chronicled in a daily journal published on NBA.com, and consists of over 56,000 words, hundreds of photos, and endless fun. 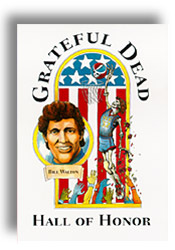 Walton has also been the lead subject of his own reality TV show: Bill Walton's Long Strange Trip, a dramatic saga that still plays continuously. In 1993, Walton was inducted into the Basketball Hall of Fame in Springfield, Massachusetts. Walton also became a member of the Academic All America Hall of Fame during the spring of 1994. For his television broadcasting work, Walton has been nominated for numerous Emmy awards and in 2001 won an Emmy for best live sports television broadcast. In 1997 Walton was selected as one of the NBA's Fifty Greatest Players of all Time. Also in 1997, Walton was inducted into the National High School Sports Hall of Fame, making him the first male basketball player to be so honored from the state of California. The NCAA honored Walton with their Silver Anniversary Award in 1999 for having made significant professional and civic contributions since he completed his intercollegiate eligibility 25 years ago. 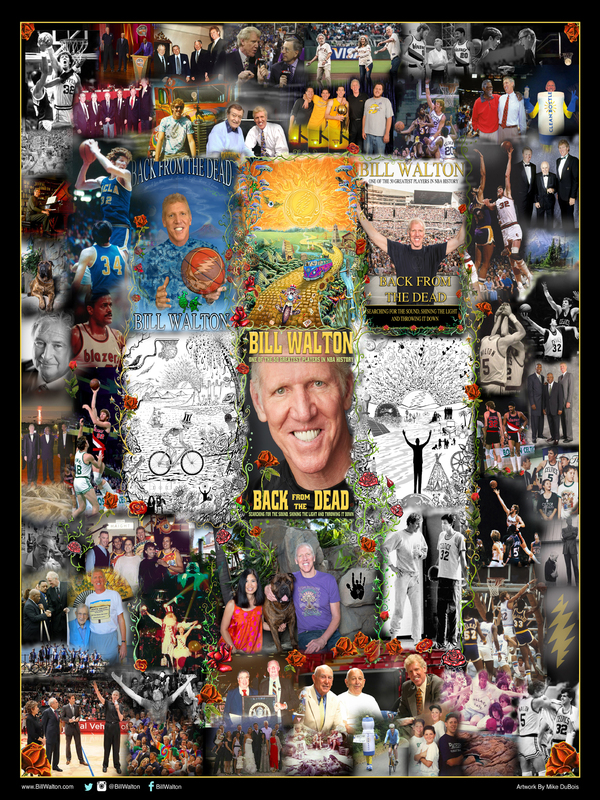 Walton has also been inducted into the San Diego Breitbard Sports Hall of Fame, The UCLA Hall of Fame, the Oregon Sports Hall of Fame, the Boys and Girls Club Hall of Fame and the Guinness Hall of Brilliance. In 1979 Walton received an Emmy for his work on an environmental documentary filmed on location in the Philippines. He has also had roles in feature films such as: Little Nicky, He's Got Game, Forget Paris, Celtic Pride and Ghost Busters. And he is a regular contributor to television shows including The Wheel of Fortune, The Jeff Foxworthy Show, The Sentinel, Pacific Blue, Inside Schwarz, and The Weakest Link. His commercials include: Tostitios, Reebok, Anacin, Best Western Hotels, Guinness and Capital One. 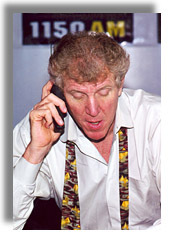 In 2007, Walton was named one of the top 10 pundits in America by Forbes. That sa me year he was also named one of the top 20 Business Athlete representatives by TSE Sports and Entertainment Group. In 2009, Walton was named one of the top 50 sports broadcasters of all time by the American Sportscasters Association. In June 21, 2001, Bill was named as the inaugural inductee into the Grateful Dead Hall of Honor, and signed memorabilia is available. All proceeds go to benefit the Rex Foundation, the non-profit charitable organization founded by members of the Grateful Dead and friends. Walton and his older brother Bruce (UCLA 1973) are the only brother combination in history to have played in the Super Bowl and to have won an NBA Championship. Walton and his third son Luke are only the third father/son pairing to have ever won NBA Championships. They are also the only father/son combination in history to have each won multiple NBA Championships. Walton has also won the Wheel of Fortune World Championship, and he is the reigning titleholder of the Jimmy Kimmel Live Scavenger Hunt. Walton is currently the Executive Chairman of Connect SD Sport Innovators (SDSI), a non-profit, business accelerating, trade organization that connects and drives the growth of Southern California's vibrant sports economy by offering innovative programs and services for startups, mature companies and service providers. SDSI offers mentoring, education and capital funding opportunities for start-ups; best practice collaboration, access to new technology, and public policy advocacy for mature companies; as well as deal flow to our service providers and the Southern California Investment Community. Bill is also a board member for the Junior Seau foundation. Walton currently resides in his hometown of San Diego with his wife Lori. They are the proud parents of four sons: Adam, Nathan, Luke and Chris, and the lucky grandparents of Olivia, Avery Rose and Chase.